Outfit:Floral Dress with Brogues and Wraparound Heart Bracelet. Since transforming my spare bedroom into a dressing room, I’ve found it much easier to make a decision about what to wear, because everything is visible on hanging rails. 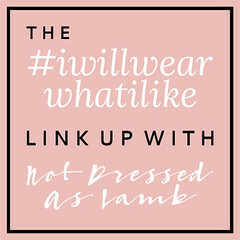 I’ve also found I’m wearing more of my clothes for that same reason. For a normal working day such as today, (writing for Aspire magazine, writing my blog, doing the housework and taking a trip to the post office to dispatch boutique purchases), my default outfit is skinny jeans and breton top with ballerinas or brogues. But today, I wanted to wear this dress because I saw it hanging there and thought it would make a nice change. 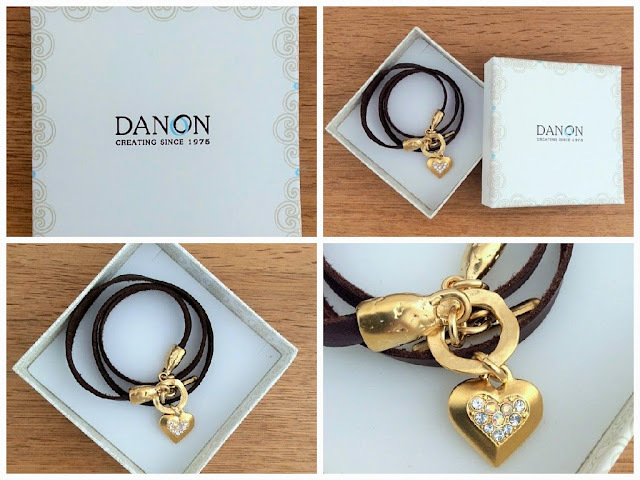 My leather wrap heart bracelet is by Danon. The leather is beautifully soft and supple and I love the sparkle afforded by the crystals in the heart. For quite a while, I didn’t wear much yellow gold jewellery, instead preferring white gold or silver coloured, but I’m acquiring more and more. It’s warm and flattering and I’d be hard pressed to say which I prefer now. Tweed, Bees and A Leather Wrap Dragonfly Bracelet. My bracelet was a gift from Danon. All opinions are 100% honest and all content is my own.